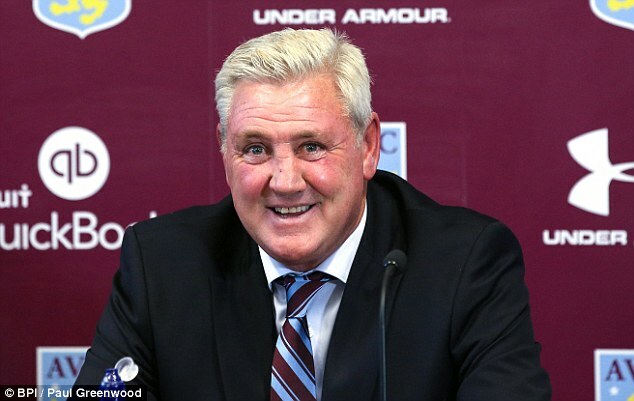 Just a few weeks after Steve Bruce admitted that Aston Villa may have to give up on the promotion hopes, the club have been able to dramatically rise up the table. A run of four wins in the last five games has seen Villa move to 12th in the table. The prospect of finishing in the top six, which gives access to the play-offs, has been immensely boosted as a result of this run. Manager Steve Bruce, though, is expecting even more from his players, as he says that the club can improve even further. The 1-0 win over Derby County towards the end of February brought an end to a winless run that had stretched to nine league games. Since that victory, however, the 1-0 loss against Huddersfield Town is the only defeat suffered by the club. More recently, the club managed a 2-0 win over Sheffield Wednesday, who occupy the sixth spot in the league. Villa will have to continue this run if they are to make up a 14 point difference over Wednesday. Even if promotion does not take place this season, Steve Bruce will consider the campaign to have been a major improvement. The former Hull City manager came in midway through the season after the club sacked Roberto di Matteo following a poor start. “We played better at Huddersfield in midweek without a shadow of a doubt. We were nowhere near the level we were against Huddersfield in the first-half today.What we have got is a spirit among the team which is coming. It takes time and that’s vitally important.They players are trying their best and that’s all we can ask for. If they put their boots on and try their best, which they are doing at the minute, then we’ll forgive the mistakes,” said Bruce.